Guest Bio: As the Medical Director at Timberline Knolls, Dr. Lee-Samuel supervises the medical staff and sets the overall vision and direction for the treatment program. She had a private practice for several years and was an Assistant professor at the University of Chicago. She also served as the Director of Psychiatric Services for DCFS of Illinois. 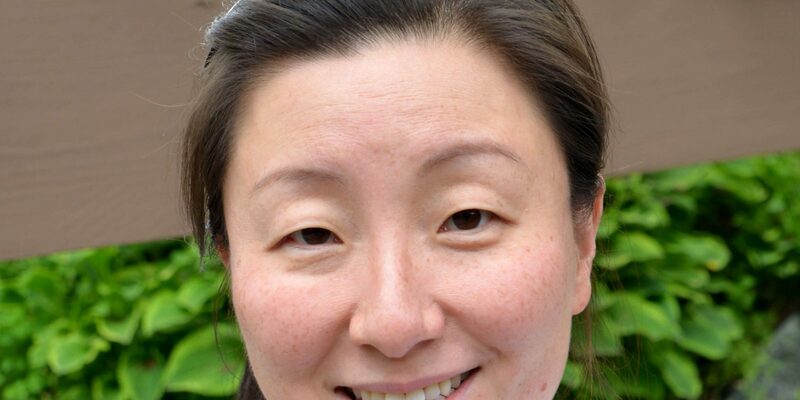 Dr. Lee-Samuel attended Wellesley College, the University of Cincinnati College of Medicine and the University of Chicago–Harris School of Public Policy. She is a member of the American Academy of Child and Adolescent Psychiatry. Segment overview: Dr. SooMi Lee-Samuel, medical director of Timberline Knolls Residential Treatment Center, discusses co-occurring disorders that often occur with eating disorders, including substance abuse, depression, anxiety, trauma and self-harm. Neal Howard: Hello and welcome to Health Professional Radio. I’m your host Neal Howard, thank you for joining us today. 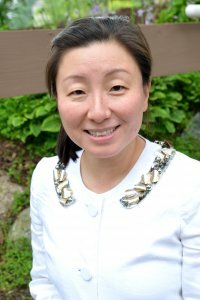 Our guest in studio is Dr. Soo Mi Lee Samuel, she’s the Medical Director of Timberline Knolls Residential Treatment Center, also a board certified psychiatrist and she’s a returning guest here to talk with us about some of the warning signs that let us know that one of our young women or adolescents is struggling with an eating disorder. Welcome to Health Professional Radio Dr. Lee Samuel. Dr. Soo Mi Lee Samuel: Thank you for having me. N: Thank you. When were here before in other segments talking about Timberline Knolls Residential Treatment Center, tell us what is your role there other than Medical Director? S: So as Medical Director, I oversee administrative duties here at Timberline Knolls and then I also am involved in direct patient care. So I do follow some of our patients on our lodges and I work with them as psychiatrist and work with leading with shipment teams and to managing their clinical shipment for our individuals here. N: Now I understand that your facility treats women and young girls exclusively for eating disorders and some of the co-occurring disorders that go along with an eating disorder. When we’re dealing with an eating disorder, we don’t often know it. When a patient comes to you, it’s already in full effect. What are some of the warning signs that we can look for and maybe begin to think about letting you become involved? S: Absolutely. So their behaviors may start of kind of subtle and so it’s important to kind of really monitor closely especially our adolescent girls. We find that a lot of adolescent girls can be very sneaky and it may not be so obvious and as parents we may be more likely to dismiss some behaviors that we think are just part of growing up during adolescence. But if you start seeing a young girl starting to have interest in diets, regardless of her weight, she may be normal weight but she’s starting to become a vegetarian, or go vegan, or starting to become gluten free and she’s doing it without being monitored by a physician, then that is something to kind of be aware of. If someone starts to refuse certain food, there are maybe something called fear food or certain foods trigger a fear reaction because they’re afraid they’re going to gain weight. So if they start suddenly refusing to eat certain foods or avoiding foods that’s something to keep in mind of. If you notice that suddenly they start going to the bathroom after eating a meal, you need to ask yourself, ‘Why are they doing that?’ They maybe purging and so you want to be aware of that as well too. And then, suddenly if they start exercising compulsively and a lot more often, so maybe several hours a day where they used to not do that. Now I recently had experience with someone who’s actually on the cross country team and she started exercising more frequently and she used this excuse well she’s on a cross country team so she needed to work out more, she needed to maintain a healthier diet. That’s understandable but then when the behaviors get so restrictive that this person was only eating maybe 5 or 600 calories a day, then that’s something that should really raise a red flag in parents and practitioners. N: Do you ever find that an eating disorder develops out of something that was totally a great idea, healthy maybe starting wanting to eat a healthier diet as opposed to fast food and then something happens and now you’re in a full blown eating disorder? S: Yes. That’s quite common and there’s definitely, I don’t want to bash vegetarianism. I think having a vegetarian diet is a very healthy choice and it’s a good idea for a lot of people. A lot of our young women start off becoming vegetarians, but then what we noticed is that it gets more restrictive. It got vegetarian turns to vegan, turns to raw food, and so what starts of as a healthy idea turns into a control issue and it becomes an issue about wanting to control what you put in your body and that’s when it gets concerning and that’s when we should really start to take notice. N: Do you ever find that the workout regimen that someone has been instructed to undertake because of a sport is actually not right for them particularly? S: I think coaches may mean well and they want their athletes to be healthy, but I think that we need to have a very open and honest communication with for example the coaching team. If your daughter is on a cross country team, but you noticed she’s eating less and she’s exercising more, I think we need to have a very frank discussion with the coach and say, ‘Hey what’s going on?, Did you notice this is going on?, Did you instruct this or recommend this?’ And not be accusatory but see what’s going on because it may very well be that the coach may not be aware of it and so I think open communication is going to have to be very important. N: When we were talking about warning signs, there are more than a couple that sounded very familiar to the same type of warning sign that you would look for in a child or young woman that’s abusing drugs. How often do you see these eating disorders and substance abuse together? S: Well we know in our adult population, some studies have shown that up to 50% of women with substance use disorders also have a comorbid and a co-occurring eating disorder. So a lot of times at our facility, what we see in our adult women who are maybe in their early 20s who have been using substances but also have an eating disorder history, they come in to get treated and to maintain sobriety. Let’s say for example, they were using heroin and marijuana, once they are in our facility, they’re able to become sober and maintain sobriety, but then what we noticed is that the eating disorder behaviors start popping up. And it’s almost like the substance use is masking the eating disorder behaviors and it’s almost like, I call it ‘whack-a-mole’, as soon as you treat one disorder or addictive behavior, the other one kind of pops up. And so that’s what we see which is why I think it’s so important to treat co-occurring disorders and so a lot in times when someone is sober, then they’ll start restricting again because they don’t want to think about, they don’t want to deal with eating again, because when they were high they didn’t have to think about eating. So by now that they’re sober, they have to think about what they’re eating and what food again, and that is very distressing to them because they’ve never dealt with it before. S: Right. Well for residential level of care, what we really look for is someone who’s failed lower levels of care, so maybe they’ve done a PHP program many times. Maybe they’ve been detoxed in the hospital but haven’t been able to maintain sobriety. Or maybe they’ve been in other treatment facilities but it just hasn’t taken. So what we look for is someone who’s tried other levels of care and usually it’s PHP or outpatient and it just hasn’t been working and usually for insurance companies authorize a residential level of care, you have to demonstrate and show that they failed the lower level of cares, so that the insurance companies will be willing to cover it. Or if someone is in an inpatient psychiatric hospital for multiple, I mean they’ve been in the hospital multiple times for multiple suicide attempts, then maybe they can come to our facility and try coming to our facility for treatment. N: If you’ve got a male who’s identifying as a female, can he develop eating disorders based on his identification or is it actually a real thing? Because you do specialize in women’s issues but men suffer from eating disorders as well. S: Absolutely and it really, whether not you’re homosexual, heterosexual, bisexual, transgender, you can develop anorexic eating disorder behaviors, bulimic behaviors, just as easily as a woman can. It just happens that women tend to develop eating disorder behaviors more commonly than men, but as I said before, there is that one study that estimated that 1 million men in the U.S has some kind disordered eating behaviors as well too so definitely it can happen in both genders. N: And where can our listeners go and get more information about your practice? S: Absolutely. Our website is www.timberlineknolls.com or you can us at 1-844-335-1932. N: Great. Well as always, it’s been a pleasure talking with you today. N: Thank you. You’ve been listening to Health Professional Radio, I’m your host Neal Howard, in studio with returning guest, Dr. Soo Mi Lee Samuel. Transcripts and audio of this program are available at healthprofessionalradio.com.au and also at hpr.fm, and you can subscribe to this podcast on iTunes.